Sushma Swaraj’s speech at UN where she called Pakistan an “export factory for terror” drew sharp reactions from the country’s media, who termed it a “vicious attack on Pakistan”. In her address to the 72nd UN General Assembly session on Saturday, Swaraj asked Pakistani leaders to introspect as to why India is recognised as a global IT superpower, while Pakistan is infamous as the "pre-eminent export factory for terror". 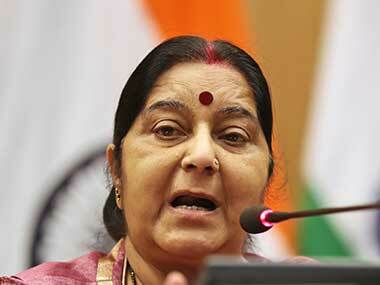 Swaraj's reply came after Pakistan prime minister Shahid Khaqan Abbasi in his speech on Thursday accused India of violating human rights and State-sponsored terrorism. The headline in prominent Pakistan daily Dawn went thus: "Swaraj launches vicious attack on Pakistan in UN speech". 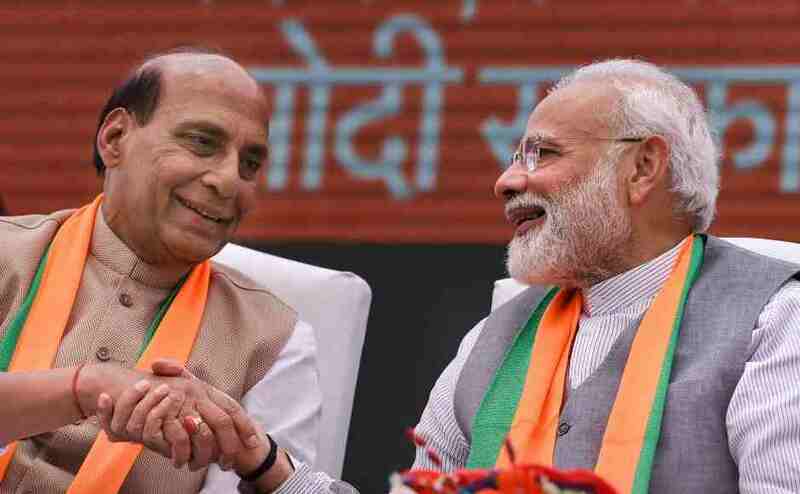 Anwar Iqbal and Masood Haider writing in Dawn, stated that the Indian external affairs minister “not only targeted Pakistan’s current rulers but questioned the commitment of the country’s founding fathers to peace and stability”. The article noted that hundreds of Kashmiris and Sikhs protested outside the UN building in New York while Swaraj was addressing the General Assembly. Another Pakistan newspaper The Express Tribune carried Swaraj's speech under the headline: "In angry retort, India calls Pakistan ‘terror factory’." In an opinion piece in The Express Tribune, Kamran Yousaf wrote that Abbasi’s UN speech left India reeling. The article further said: "Stung by scathing criticism, India exercised its ‘right of reply’ to make a repugnant retort, calling Pakistan ‘Terror-istan.’ This shows Abbasi’s forceful speech has thrown Delhi off-balance". The Nation carried Swaraj's speech in an article headlined: "Pakistan aborted peace process, claims India" and highlighted the part of Swaraj’s speech where she had said that it was Pakistan who aborted the peace process. 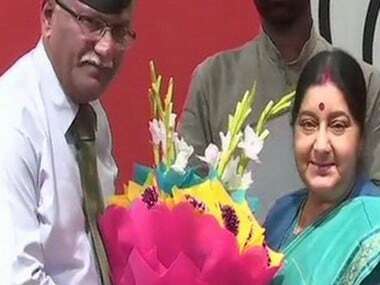 “Indian external affairs minister Sushma Swaraj on Saturday said Prime Minister Narendra Modi had extended a hand of friendship to Pakistan, but this was not reciprocated by the neighbouring country,” the article stated. Pakistan’s biggest news channel Geo TV wrote on its website that India responded to Pakistan’s speech at UNGA with a barrage of accusations. 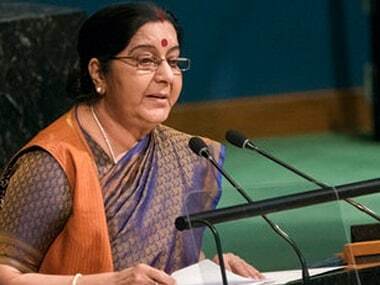 Pakistan Today termed Swaraj's speech a “very sharp and strong attack on Pakistan” in its article titled: Sushma says India created institutions of excellence, Pakistan created ‘terror factories’. “In a hard-hitting speech at the UN General Assembly, Sushma said, ‘We established scientific and technical institutions, which are the pride of the world. But what has Pakistan offered to the world and indeed to its own people apart from terrorism,’ the paper wrote, quoting Swaraj’s speech.